The day before beautiful baby River arrived was Easter Monday. I spoke to Claire and asked her how she would feel about me traveling to the Hunter Valley to spend an impromptu night away with my 5 sisters, since she was not quite due yet. Claire is one of the loveliest people you could ever meet and of course she said “Go Kate! Have fun. If I need you, I’ll call.” I assured her that I would only be an hour away, I would have all my camera gear with me and would be ready to drop everything the second she called. As I had dinner with my sisters and sat around until well after midnight chatting, I had a feeling. I found myself checking my phone every 5 minutes. Sure enough, just as I was closing my eyes for the night, the phone beeped, and I was up and out the door. I arrived at Claire and Nath’s house to find Claire well into established labour. The beautiful Belmont midwives were being amazing and attentive as always and little Orlando was helping support his mum with gentle pats on the arm and soft words. Claire’s mind was so focused on that baby, she didn’t show a moment of hesitation or doubt and it wasn’t long before baby River was delivered in the birth pool and thrust up into his mother’s waiting arms. The beauty and peace of that moment took my breath away. The moments after River’s birth, when two brothers met for the first time, when a father embraced his two sons and when a mother put her new babe to her breast as the first rays of sunlight crept in through the windows…blissful, fleeting moments that I will never forget. I knew the home birth of baby George would be beautiful, what I didn’t anticipate was how completely lovely Jenni would look in the midst of labour. When I arrived, just two hours before the birth, the midwives were already there, sitting comfortably on the couch sipping tea. Jenni and Bender were busy keeping little Addy entertained. It was four in the morning and she was awake with all the movement in the house, and with a sense of excitement she had no intentions of going back to bed. Something was going to happen, and she was not about to miss it!! Jenni moved around the room with ease, her floral robe flowing around her looking like a birthing goddess. She was looking SO relaxed in fact that I honestly wondered if we had all arrived prematurely. 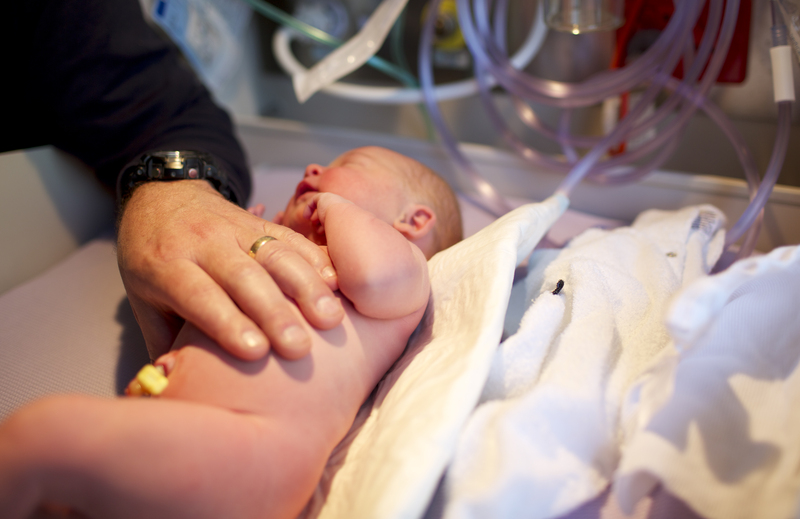 But no, this experienced mum knew her body and knew her baby would be greeting us before long. So after an hour of wondering around, she gently stepped into the birth pool and within an hour baby George was being lifted up to his Mum’s chest, all covered in vernix and perfect, with big brother Will helping out down ‘the business end’. Jenni and Bender had made the decision to leave George’s cord intact, and allow it to dry and fall away by itself in the days that followed his birth. The placenta was thoroughly checked over by the midwives and George had all his first checks, weighs and measurements before the birth team, including myself, walked outside into the beautiful early morning sun and left this family to soak in their new baby. When I finally met Peta after several messages back and forth, she was just as I imagined -very sweet and gentle in nature, but with a determined side. I chatted with her and Michael for a couple of hours about their upcoming birth. It would be Peta’s first baby after a long wait, and a third child for Michael, who has two older boys. 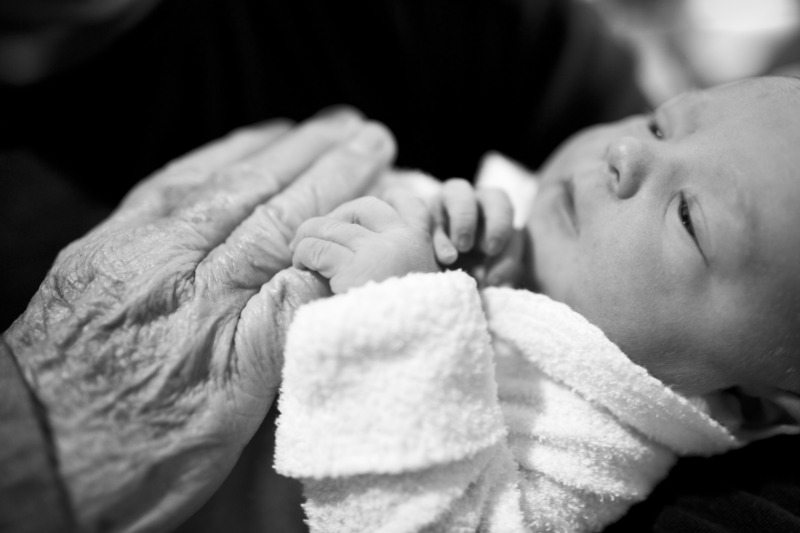 They expressed to me all that they wanted captured in their birth images. The first time Michael’s boys would see their new brother and the expression on the face of Peta’s mum, who had also been waiting so long to become a Grandma. I listened to Peta’s fears about how she would handle the labour and how hard it was to even fathom that this baby would soon be out of her belly and in her arms. We talked about her desire to birth her baby naturally and drug-free if possible. I spent a small amount of time with Peta and Michael in the early hours of the morning during Peta’s early labour. She was to be induced the next day, but as often happens, she went into labour spontaneously the night before. After a few hours sleep back at home, I returned to the hospital to find things moving along nicely. Peta had just gotten out of the bath and was clearly in active labour. She was managing her contractions with Michaels constant words of encouragement. Peta’s mum was looking on with the mix of sheer delight, excitement, concern and empathy that only the mother of a birthing woman can clearly express. Peta showed such courage and birthed her baby exactly as she wanted, with her mum cheering her on and Michael’s older boys just outside. 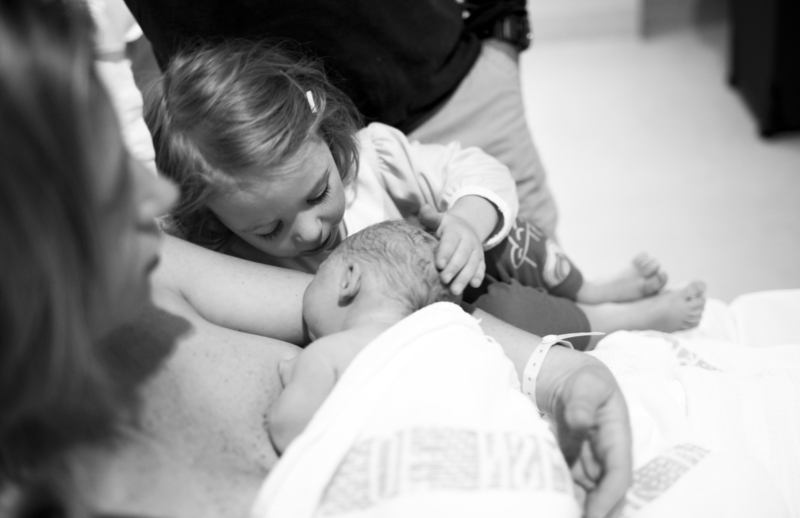 The room quickly became a place of celebration as we all welcomed this long-awaited baby boy, Bodhi. When I first met with Kass and Brett, the thing that struck me most was how much thought this pregnant mum had given to her upcoming birth. 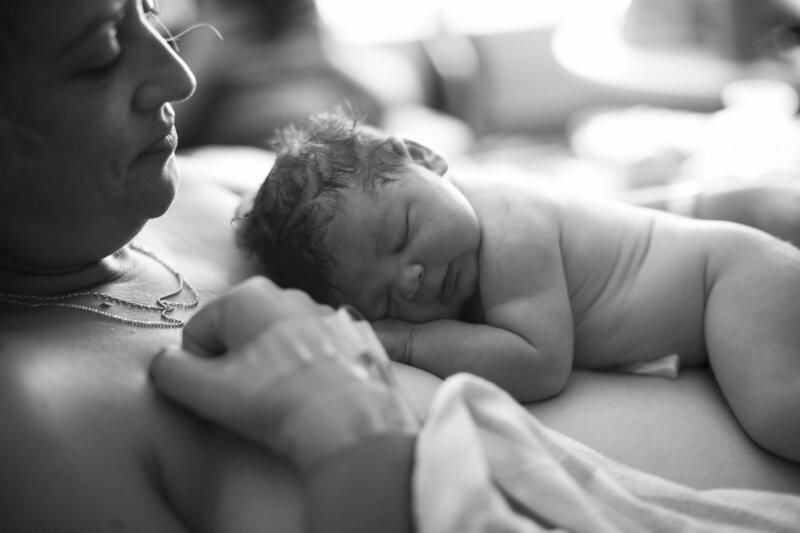 She had written up the most comprehensive birth plan I have ever read and there were no questions left unanswered about how she ideally wanted things to go. She was really hoping for a VBAC this time round. After failing to dilate during labour with her last baby, she hoped that this second time things were going to pan out differently. We discussed all the possibilities of what might happen and how she could potentially end up in theatre for another caesarian, but most of all we just hoped for a healthy baby at the end, any way it came. When I arrived at the hospital Kass was looking comfortable after having had an epidural, so we had a chance to chat and laugh and she gave me the story of how her labour had unfolded so far. We just needed to wait for her Obstetrician to examine her and make the call on what would happen next. Unfortunately it turned out to be the same decision as last time, and off to theatre she headed. I was unable to go into theatre with them, but Brett did an amazing job of capturing all the moments of their beautiful daughter arriving into the world. Little Abigail was perfect and healthy and lovely and here! Kass didn’t fare so well during the surgery and had some serious complications, so after sitting in the waiting room for a couple of hours, I was eventually told that I wouldn’t be able to go into recovery. On day three, I went back to the hospital to finally meet this new little girl, and she was so beautiful and so perfect that all the drama that surrounded her arrival just melted away. When I met Kate for the very first time over a coffee, we discussed the impending arrival of her first baby and how she was feeling about it all. 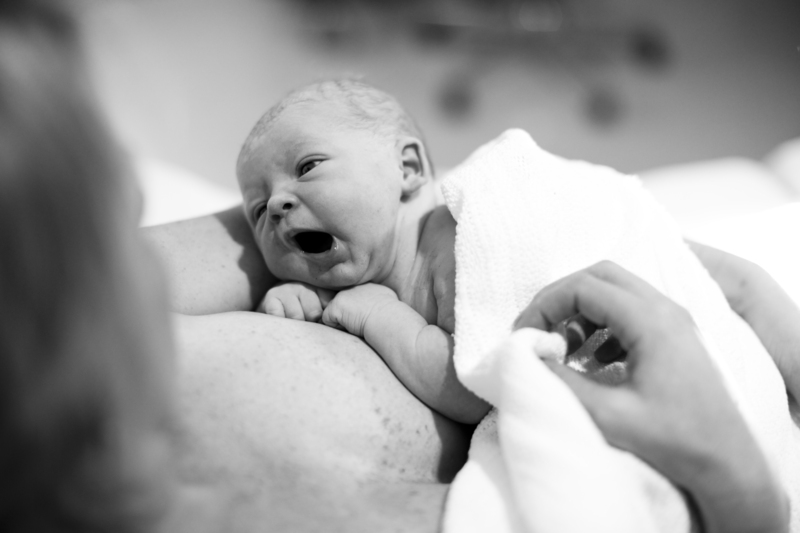 She was filled with all the nervousness and uncertainty that women who have never experienced childbirth always are. They have not yet been convinced through experience of the awesome strength and endurance they are capable of. There was also some clarity in Kate’s mind though. 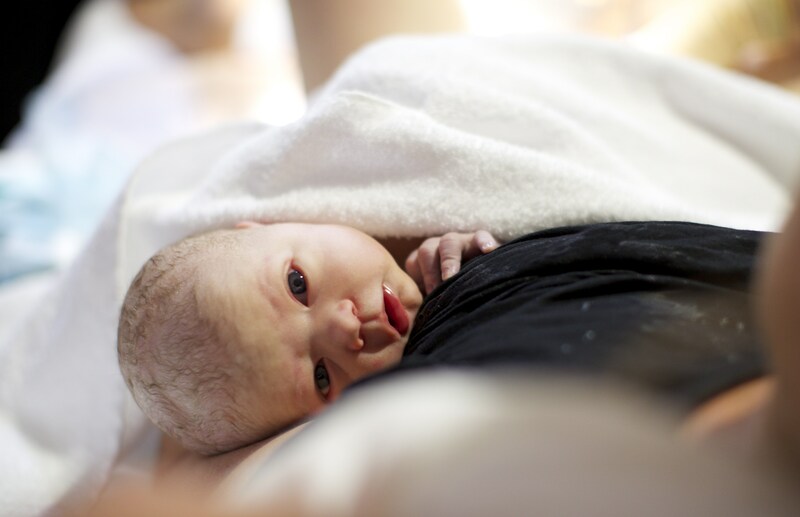 She was sure she would be delivering her baby naturally, and that certainty paid off during the lengthy labour and delivery of beautiful Elliott. 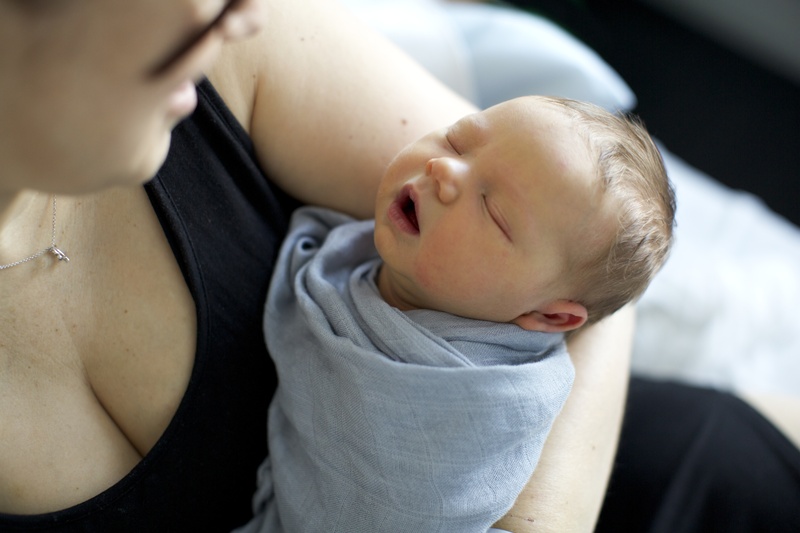 With her husband Scott supporting her, along with her Mum who had travelled from California to be present for this moment, Kate mustered the strength within her and little Elliott arrived healthy and safe to the delight of all who were waiting for him. 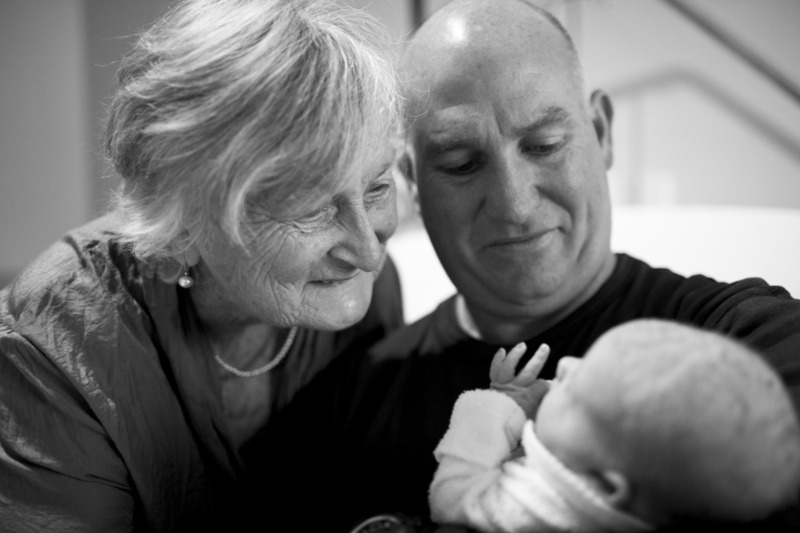 Here is a little slideshow of the peaceful arrival of beautiful Maggie, and the welcome into her family. I only arrived just 10 minutes or so before Maggie’s birth, but there was so much to capture afterwards, it didn’t matter. Maggie’s two big sisters were so looking forward to meeting her, and so after her Mum & Dad gazed at her and breathed her in, Maggie’s sisters and grandparents all arrived to meet their new family member. Maggie was welcomed with open arms and so much love. It was such a joy for me to be witness to it.